Welcome to Localizations, Please!, another piece of our Please! series of features. This is where the SuperPhillip Central staff come together and list five titles that are stuck on the other side of the Pacific that we'd love to see come to our shores. We've had some success in the past with games like Bravely Default, Tales of Xillia, Xenoblade, The Last Story, Theatrhythm Final Fantasy, Fire Emblem: Awakening, Monster Hunter 3 Ultimate (we referred to it then as Monster Hunter Tri G, its Japanese name), and several other titles. However, we've also been disappointed with the lack of localizations of such games as Dragon Quest VII, Fantasy Life, Final Fantasy Type-0, and Mother 3. We're too disappointed to list any others. Anyway, we have five more titles with questionable North American and PAL release statuses, so after you've seen our picks, feel free to cosign them or come up with your own! Yup. 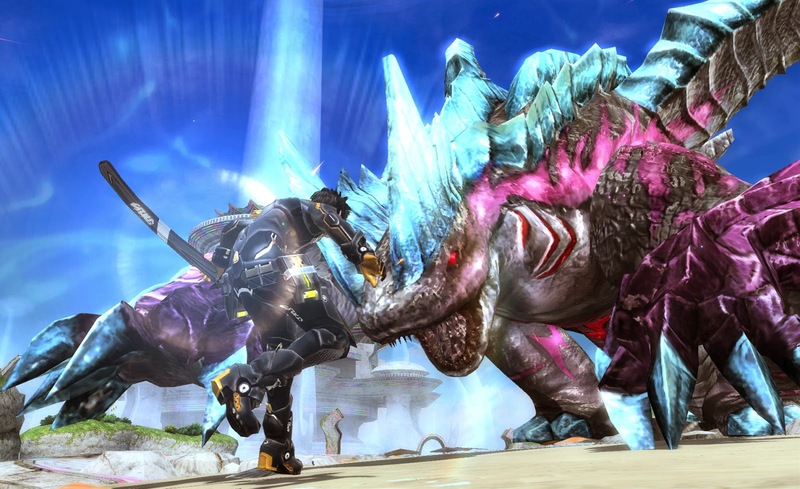 Phantasy Star Online 2 launched in Japan in the summer of 2012 for the PC, with its Vita counterpart releasing the following year. We're still waiting an announcement date for either version in North America and Europe. Perhaps we need to face facts and move on, but we can't. Our memories of Phantasy Star Online on both the Dreamcast and the GameCube are still too vivid in our minds to ignore. 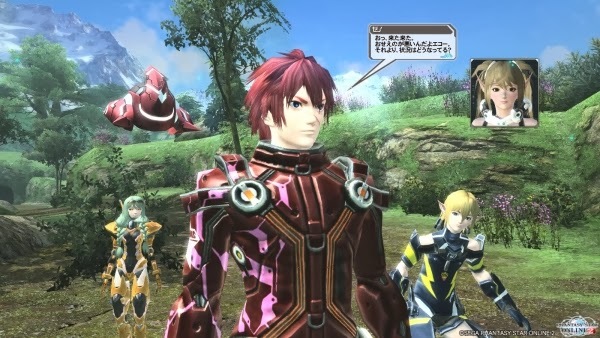 We can't give up on the hope of Sega finally letting the West in on the Phantasy Star Online 2 goodness. Heck, Sega even announced their were bringing the game over, but have yet to provide interested parties with any semblance of a date. Hence, it's a game in localization limbo and a perfect qualifier for a game we'd like localized! A software title that was met with great sales in Japan, selling over 260,000 units in its launch week alone, as well as reinvigorating Vita sales to a relatively impressive level, God Eater 2 is the sequel to the excellent Monster Hunter inspired game Gods Eater Burst. 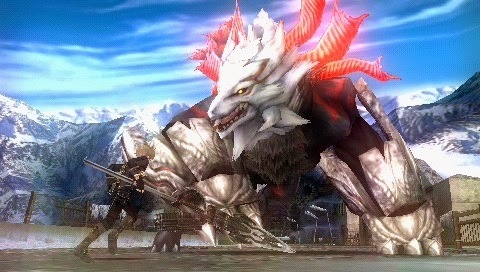 New features and additions included in God Eater 2 are three new weapons to vanquish beasts of all sizes. attack-augmenting Blood Arts, and even NPC quests to earn helpful rewards for battle. A PSP localization is almost too obvious in the fact that it won't happen, as that system's presence in the Western market has long since diminished. 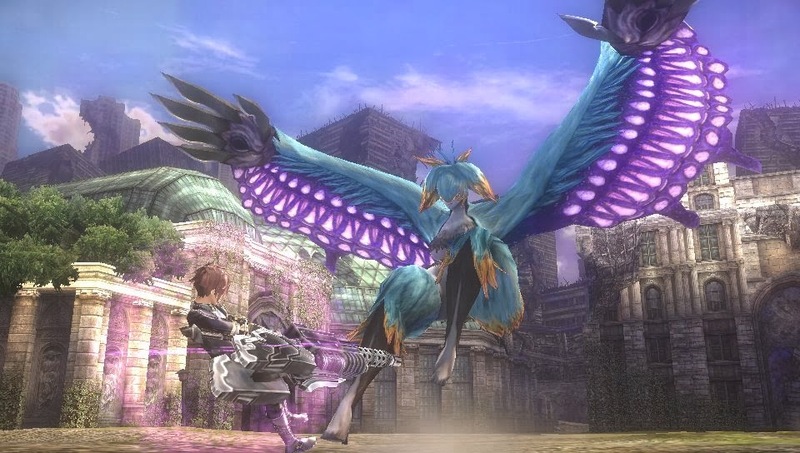 However, as either a retail or digital title for the Vita, God Eater 2 has a much better shot of localization. The game only came out in Japan this past November, so we may be jumping the gun in asking for God Eater 2's immediate localization announcement. Then how about this game? 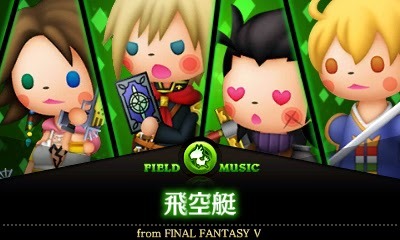 Theatrhythm Final Fantasy wasn't just a rhythm game containing some of the best music in video gaming history, it was also one of our rhythm games period. This is why we chomp at the proverbial bit to see its sequel, due out in April in Japan, come stateside and everyone else who wishes to play it. 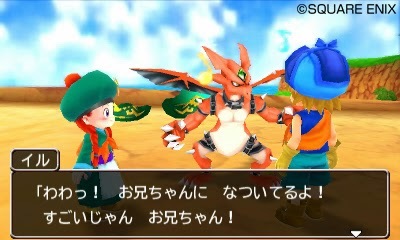 Unlike Dragon Quest Monsters 2, Curtain Call has a really good chance of hitting the West. First, the original Theatrhythm did pretty well sales-wise. Secondly, the game was listed on an official Square Enix poll dedicated to the Kingdom Hearts series. We're obviously calling for a localization way too early, but that just shows how much we, as well as many other Final Fantasy and/or rhythm game fans, want to get touching, tapping, and sliding away with the latest in the Theatrhythm series. Known in Japan as Fossil Fighters: Infinite Gear, the third entry in the Fossil Fighters series of games, this 3DS installment appears to be the most complete one yet. 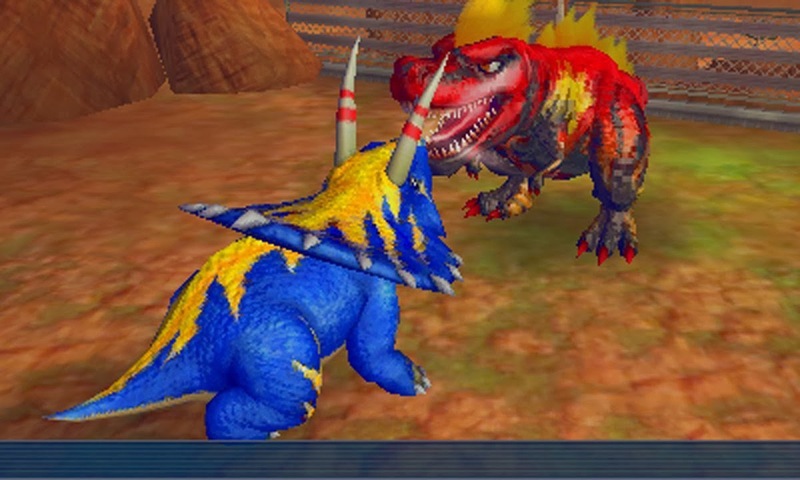 The familiar Pokemon-like battling between dinosaurs (or as the series knows them as Vivosaurs) is ever present, as is the dusting of fossils to add their respective Vivosaurs to the player's collection. What the most exciting new addition is is a fully expansive 3D map for players to utilize various vehicles on, each being able to reach new, previously inaccessible areas of the game. While the previous DS incarnations received mixed to favorable reviews, we are still interested in the direction that the developers have taken with this game. It's no secret that many developers, including those within Nintendo, have been clueless as to how to incorporate the Wii U GamePad successfully into their games. It doesn't say much for the controller when the recently released Donkey Kong Country: Tropical Freeze only used it for off TV play. Otherwise it simply showed a black screen. Still, there are a selection of titles that do make fine and even highly creative uses of the Wii U's special controller. These five games are what SuperPhillip Central's staff deems the ones that implement the GamePad best and in a variety of ways. We start our top five countdown with a game that was originally scheduled to be a Wii U exclusive. 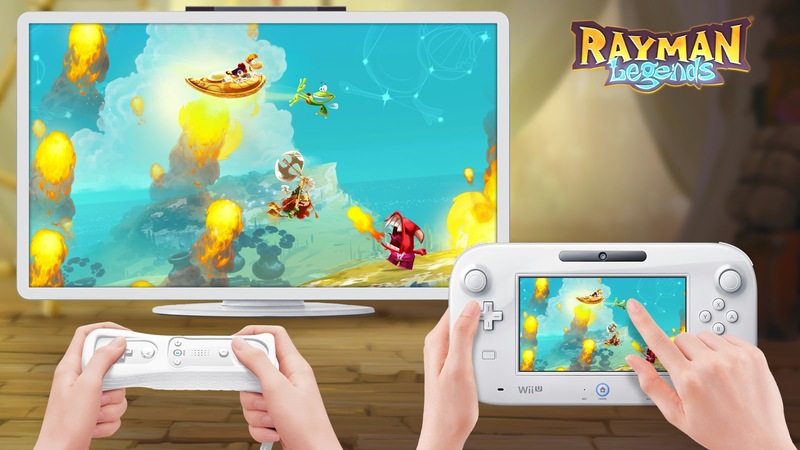 Rayman Legends was set to release in the February following the Wii U's launch in November 2012. Unfortunately, Ubisoft's launch offerings failed to reach their sales expectations and resulted in Legends being delayed in order to be ported to other systems. 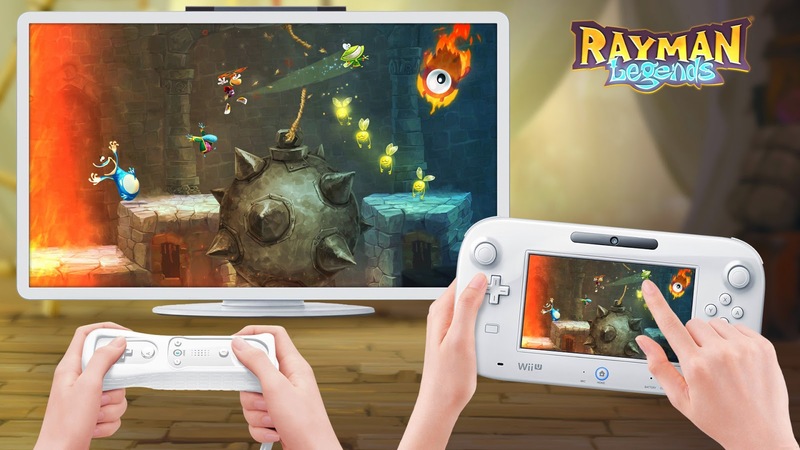 Despite all this, we proclaim that the Wii U version of Rayman Legends is still the one to get. It was built for the Wii U GamePad, and it works remarkably well. Rayman Legends has particular levels where the GamePad player controls a flying insect named Murfy. Either with the AI controlling the character doing all of the platforming or a human doing that work, the GamePad player uses their finger or stylus to interact with the environment. 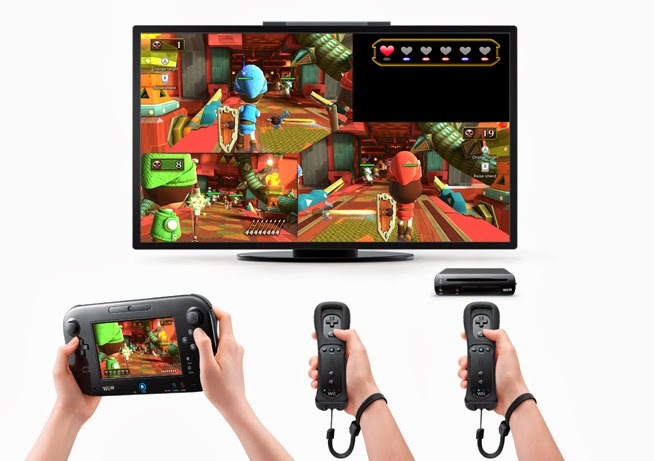 From sliding platforms for the player to climb aboard or moving obstructions out of the way, the Wii U GamePad is utilized in creative ways that make for an innovative gaming experience. A subgroup of Rayman Legends fans prefer to simply press a button to make Murfy do things (this is only possible in the ports, apart from the Vita version), but for the freshest and most fun take (obviously subjective) on this excellent platformer, the GamePad is the way to go. 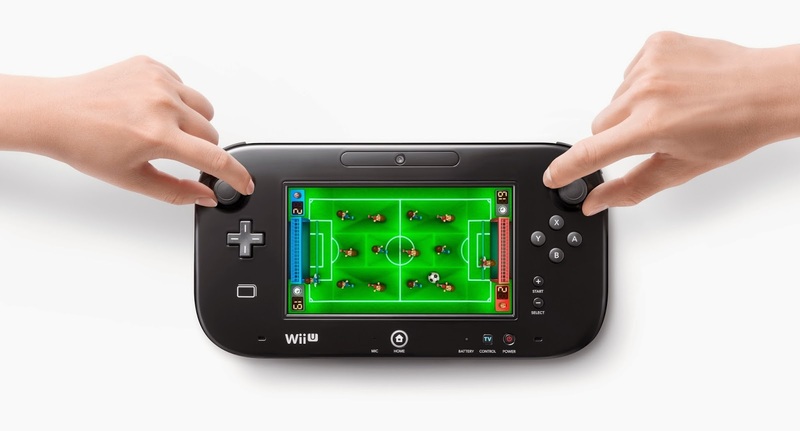 Nintendo has really struggled to show compelling reasons for the Wii U GamePad's existence in its own games. However, Wii Party U is a title that showcases many ingenious uses for the tablet-like controller. While the majority of mini-games are played simply with the Wii Remote, the 1 vs 3 mini-games have the sole player using the GamePad while the others use the Wii Remotes. 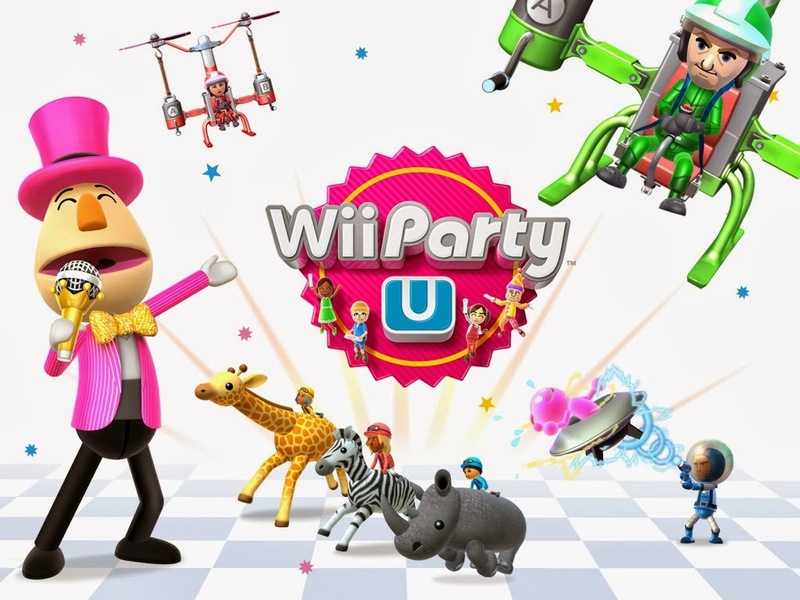 This asymmetrical gameplay isn't just limited to the mini-games of Wii Party U. Alternative modes that aren't board game related present great examples of how the Wii U GamePad can be utilized in many different ways. Name That Face has the GamePad user snapping a photo of their face that matches the clue given to them. Then the other players have to solve what the GamePad user's expression actually means. Lost-and-Found Square has three Wii Remote players scrambling to find the GamePad player, who assists the others in finding them by describing landmarks and places of interest around them. Sketchy Situation involves passing around the GamePad. Each player draws the item listed on the screen. However, one player has a slightly different item to draw than everyone else. The players that identify which player's item is different from the others earn points. Alongside fun games for group sessions, there are an admirable amount of tabletop games. 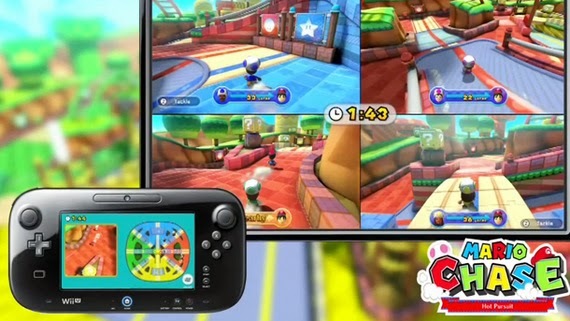 These games are played solely on the Wii U GamePad, having two players share it. One player is on one side, another player is on the other. Such simple to pick-up-and-play games include foosball and baseball. 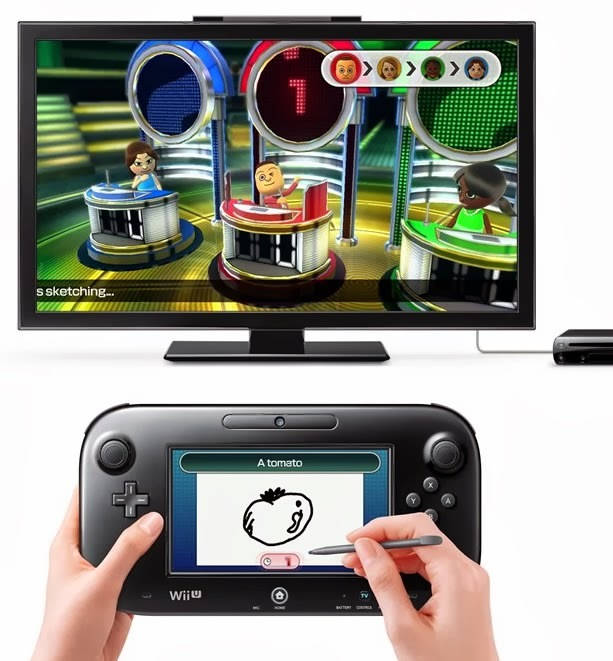 The point is that Wii Party U shows an incredible amount of inventive ways to use the Wii U GamePad. It's easy to implement a wide range of uses for the Wii U GamePad into many short, independent mini-games, but what about a single full-length, narrative-based, action/stealth game? One is more limited in the ways they can apply the controller to this type of game without it feeling shoehorned in. 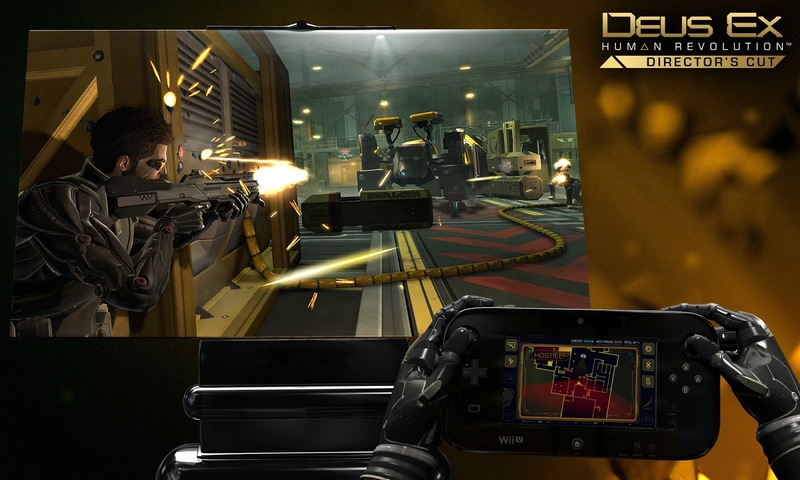 Deus Ex: Human Revolution - Director's Cut is such a game that uses the GamePad and uses it well. There's of course a convenient means to play the entire game on the GamePad's screen exclusively, but there are several in-game applications that are more original in concept. 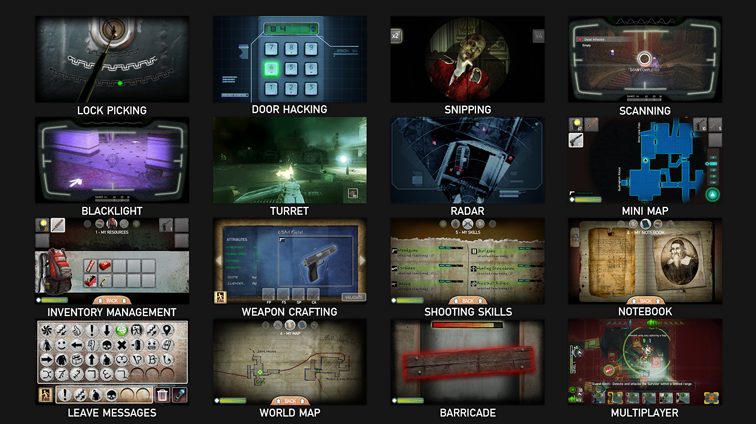 Such things include using the screen as a radar, map, and infolog; looting downed enemies as well as hacking with a touch of the screen,; accessing inventory; sniping enemies; and much more. 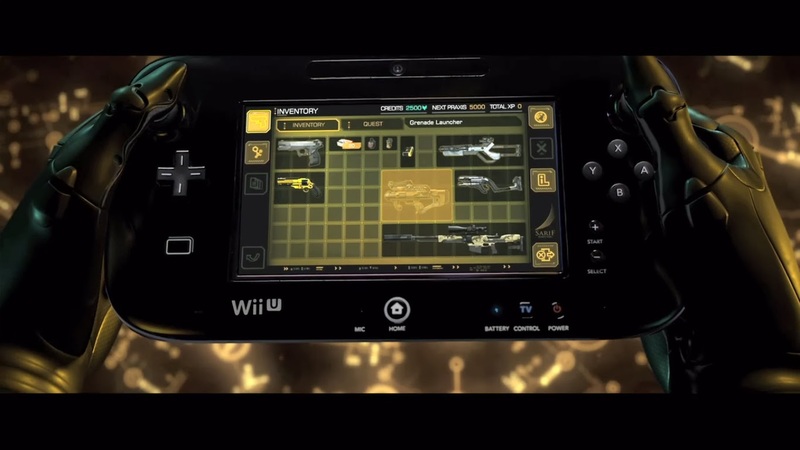 These applications perfectly show the Wii U GamePad as an enhancement of the gameplay of Human Revolution. 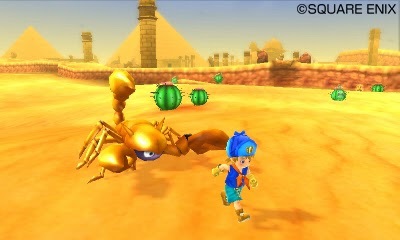 It exhibits how the controller can be implemented into things other than mini-games, off-TV play, and a screen for the game's map. Many will scoff and turn their noses up to Nintendo Land, believing it is just another mini-game collection. However, Nintendo Land is made up of twelve unique attractions, each with an impressive amount of content, stages, and challenges to them. Some more than others. Regardless, the majority of games create enough novel practices for the Wii U GamePad that makes us confused why Nintendo didn't just further experiment with these applications in fuller games. Take Mario Chase, for instance. That game has a Mii dressed up as Mario being chased by several Miis in Toad costumes. The Mario Mii is controlled by the GamePad player, who gets to use the map on the screen to show where his Toad pursuers are at. This allows the Mario Mii to plan out the appropriate path to avoid the other players. The chasers do not get the luxury of a map. Instead, they must find the GamePad player, call out where that player is, and tag him before time runs out. Then there's Yoshi's Fruit Cart. 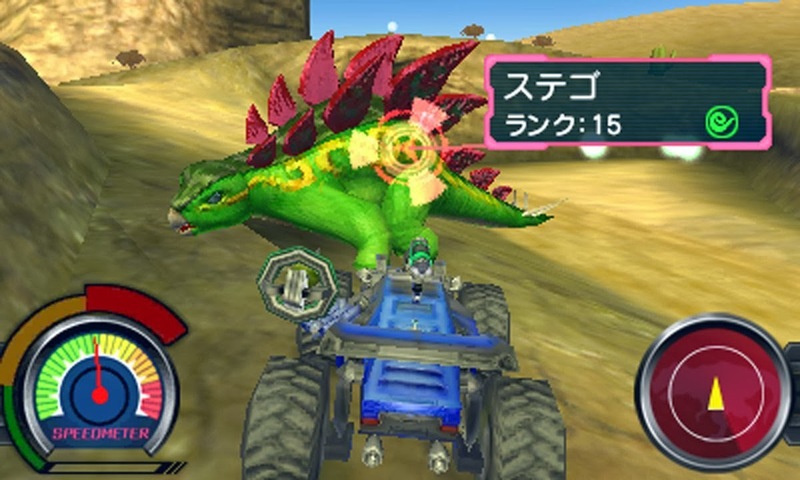 The TV screen shows where all of the fruit the player driving a Yoshi-shaped vehicle must devour, the goal that the player must drive through once all of the fruit in a stage has been eaten, as well as the holes and other obstacles they must avoid. 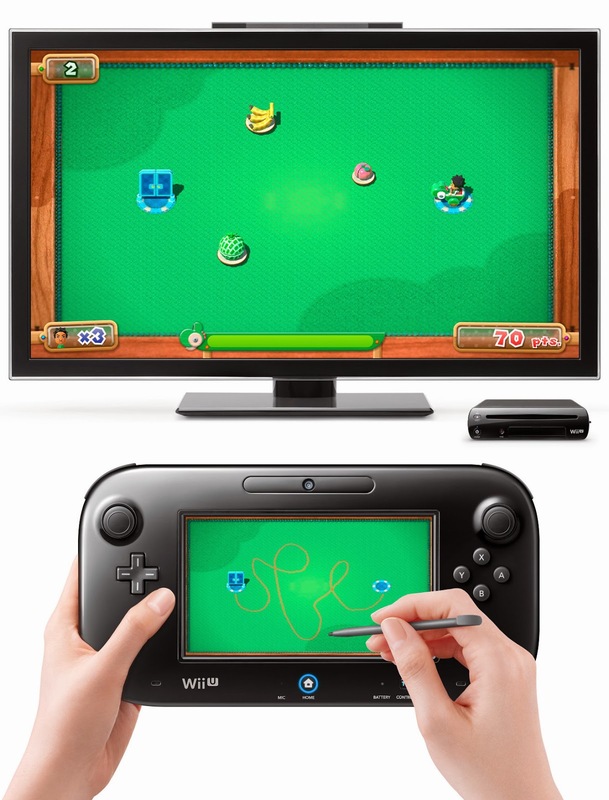 With the Wii U GamePad, the player must draw a path to get all of the fruit, avoid any hazards, and reach the goal before their amount of juice runs out. The catch is that the GamePad screen only shows the playing field and not any fruit, goals, or obstacles. Through carefully examining the patterns of the ground, the player can deduce where different objects are located to either get or avoid them in order to draw an appropriate path. Finally, we have The Legend of Zelda: Battle Quest, an attraction that has the GamePad player donning the familiar Zelda staple the bow, shooting arrows at incoming enemies as they go along an on-rails adventure. Through using the gyro controls and accelerometer of the GamePad, players can get a 360 degree view of impending danger, upcoming enemies, and vantage points to pick off foes from. Certain boss battles have the GamePad player needing to turn the GamePad on its side to dodge an enemy's attack. That's just a fourth of the amount of activities in Nintendo Land that utilize the Wii U GamePad in an innovative way. We've just scratched the surface. When you factor in that the majority of attractions show off the capabilities of the controller in unique ways, and that most attractions have a healthy heaping of content to them, it's shocking that Nintendo Land didn't take off better than it did. It truly is a special game, and one that puts the Wii U GamePad to terrific use. Still, in our collective opinion, the single most spectacular use of the Wii U's GamePad comes from Ubisoft's poor selling launch title ZombiU. Many shrugged off this game as a throwaway first-person shooter, but ZombiU is much more than just a first-person experience. It's true survival horror with an emphasis on surviving. Every time the player loses a survivor of the zombie apocalypse to a member of the undead, that survivor becomes a zombie. That character is no longer available for the player, nor is what they had in their backpack. The player assumes another survivor's body, with the ability to pick up their lost loot. Of course they have to deal with the zombie that is their last survivor. ZombiU's intense gameplay is something that could only be done on the Wii U, and it would only be effective with the Wii U GamePad. You see, in order to manage the limited space of each survivor's backpack, the player needs to have the survivor set the backpack down and rummage through it. 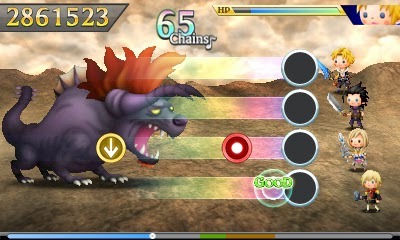 However, unlike most other games, the gameplay does not pause. The player's character is still vulnerable to becoming infected by a zombie that can show up on a moment's notice. It's this level of uncertainty and fright that wouldn't be anywhere near as executed as well as it is on the Wii U and its unique controller. Outside of this major gameplay element and GamePad use, the controller's touch screen serves the purpose of a mini-map, as well as being employed for hacking and inputting passwords into computers. 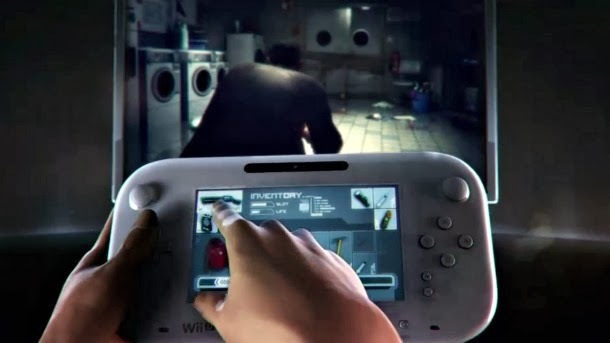 What ZombiU does with the Wii U GamePad is astounding, and what is even more amazing is that the game that best showcases the possibilities and potential of the Wii U GamePad is a title not even from Nintendo, the creator of this device in the first place! Bravo, Ubisoft. Bravo. Visiting the casino is always a good time. (Of course, that's if you're of age!) Then again, it's not such a good time if you lose a load of money. Regardless of that, sometimes you'd rather not sit in a loud, smoke-filled lounge with some sweaty tourist sitting next to you on the slots. Now, it's pretty much no secret that for your casino game fix you can hop on your PC, get on the Internet, and find a deluge of casino games at your fingertips. However, have you ever thought about playing casino games on your gaming console? Here are some of the top casino games that you can play on the PlayStation 2, Wii and Xbox 360. If you enjoy slots then you will love Fruit Machine Mania. It includes 6 great slot machine games including some of the old favourites such as Casino Fortune and Sea Treasures. There are lots of bonus features in all of the games – it really is hours of fun. Do you want to hone your poker skills? If so then Poker Masters is the ideal solution. You take on the role of one of many available players and the game plays five poker versions. You can choose to play just a quick game or play in a tournament with million dollar pots. It will really test and improve your poker skills. Golden Royal Blackjack is an excellent casino game crafted for your Xbox 360. It is the perfect way to learn basic strategy without risking any real money, and when you have you can hit the live casino and play with an advantage. It’s great fun to play with your friends too. The same makers of Golden Royal Blackjack have also come up with an excellent Xbox casino game called Slottso Party. You can play bingo, slot machines, and scratch cards in a fast paced 10 round tournament and the person with the most points at the end is the winner. Vegas Party is the best selling casino games package for the Wii. Not only can you choose your game, you can also choose your casino. There are seventeen casinos to choose from along with 15 casino games you can play in each of them, it’s the next best thing to visiting Vegas yourself. Tappingo released this past Thursday on the North American Nintendo 3DS eShop. It can be likened to a game like Picross in some regards. See how it is a puzzle game that holds its own and creates its own identity with our review. "Gameboy had Tetris, Nintendo DS had Picross. Now 3DS players get their puzzle craze called Tappingo!" Now, while that's a pretty nice category of games to put your own title in, is Tappingo as addicting, amazing, and a game that may influence other puzzle games in the future to be put in the same blurb as Tetris and Picross? Well, no, but that doesn't stop it from being an enjoyable and inexpensive puzzle genre offering all the same! 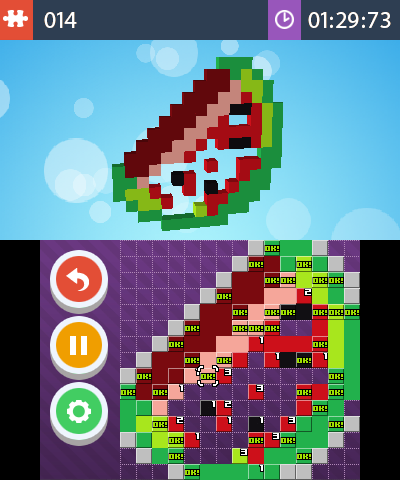 Marketing lines aside, Tappingo is a brilliant take of the puzzle genre that employs some similarities with the game of Picross. 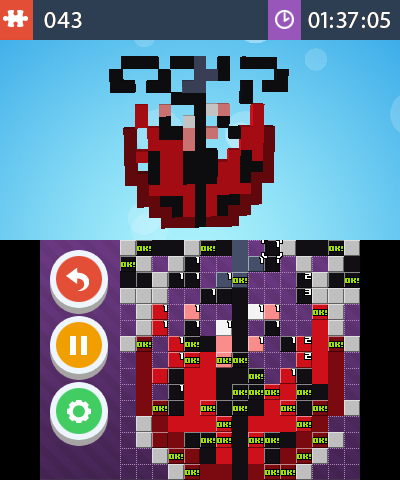 With Tappingo you're solving pixel art puzzles. Instead of having a grid with numbers assigned to the top and left sides to determine how many spaces on each row and column needs to be filled in to create a picture, Tappingo has squares all over the grid that each possess a number. Here's where Tappingo differentiates itself from its inspiration. The numbered squares scattered all over the grid dictate how many grid spaces long each line the player draws from each square should be. For instance, if a square has the number 2 on it, you need to draw a line that's two squares in any direction. The catch here is that each line automatically extends itself until it hits another square, another line, or the edge of the screen. The trick of each puzzle is to make it so each square you create a line from all say "OK," meaning all lines are the appropriate length. When that sometimes tricky feat is performed, you've solved the puzzle, completing some type of simple shape, object, or animal pixel art. As I finished each puzzle, a little jingle played and pixelized confetti flew out of the object I had just created. The completion of a puzzle was quite gratifying and gave me a personal feeling of accomplishment. 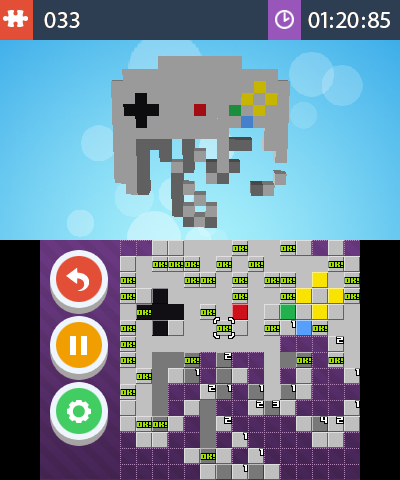 Tappingo comes with over 100 unique puzzles that come in both small form and large form. Small puzzles are much more manageable than their larger brothers. That isn't so much because they're simpler to solve, but because of control issues when using the stylus (my preferred method of control). Large puzzles don't allow you to zoom in at all, so the whole puzzle is shown on the bottom screen in its entirety. This means the squares you have to work with are tinier in size than what you're used to. This makes it all too common to accidentally touch a square you didn't intend to touch, which in turn, can mess up your progress on the current puzzle. Such careful precision is required, and even then you can still foul up the puzzle rather easily. It's a domino effect, really. Line A that made Line B the right length disappears, thus making Line B that was formerly the correct length incorrect. This, in turn, makes Line C, which was also correct in length, become the wrong length because Line B is now messed up, too. Regardless, all of this can be avoided by using the analog controls. However, this makes the large puzzles take some time, as you have to drag the cursor around the multitude of spaces the grid possesses. Still, it's nice to have an option to play either with the stylus or with buttons when the need or desire presents itself. 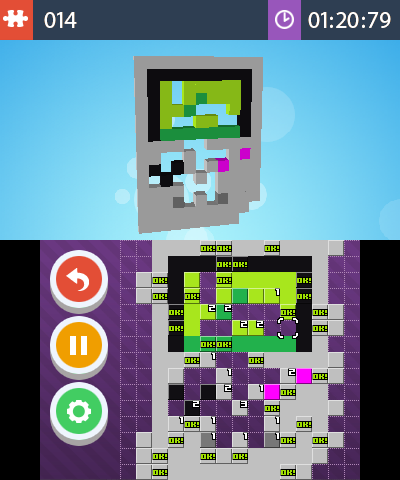 After the initial tutorial is completed, you have access to every puzzle in the game. That's great for freedom's sake, but it also reveals how Tappingo is pretty much a one-trick pony. There's no variances, new elements, or additions to the formula other than the size of puzzles. I was easily able to complete the last puzzle of Tappingo after finishing off around fifty puzzles in order. Once you find your groove, you can blast through most of the game's puzzles. Mistakes will indeed be made, but you can sort of figure out Tappingo's game logic after enough puzzles. Before Tappingo, I was not aware of Goodbye Games Studio or the game's creator, Hugo Smits. However, now I am interested in trying out their past and future projects. Tappingo is a smart puzzle game that shows that one can take an existing idea that already works and is fun, and expand upon it to create an entirely new and novel gaming experience. For $2.99 for 100+ pixel art puzzles, Tappingo is a very attractive game that will take some time to complete. While there is no real incentive to replay puzzles, as there are no online leaderboards; and the controls aren't perfect, Tappingo is an engaging puzzler that will have you happily tap, tap, tapping away. SuperPhillip Central awarded our Game of the Year award to The Legend of Zelda: A Link Between Worlds last year. One thing that a certain member of our staff hadn't done was completed the original Legend of Zelda game. We taunted and teased, but he finally completed it after 28 years on this earth of ours! What better way to celebrate his accomplishment than with a review? A game routinely near the top of most greatest games ever or most influential games ever lists, The Legend of Zelda laid the groundwork that many developers would build up from and be inspired by. 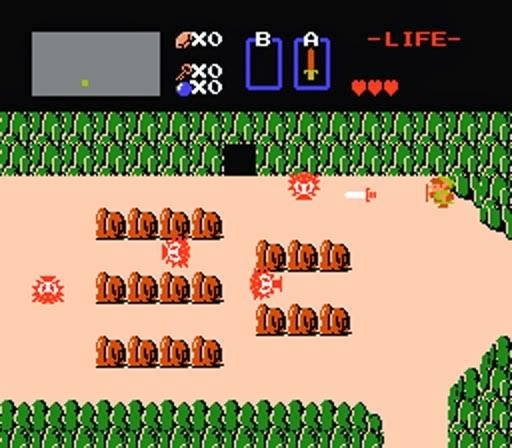 There's no doubt in many game enthusiasts' and historians' minds that The Legend of Zelda was a game that was clearly way ahead of its time. While that's without question true, how does Link's first ever quest fare today? The evil Ganon has used his powers to lay siege to the once peaceful kingdom of Hyrule. In the process, he's captured Princess Zelda and locked her away in his Death Mountain dungeon. 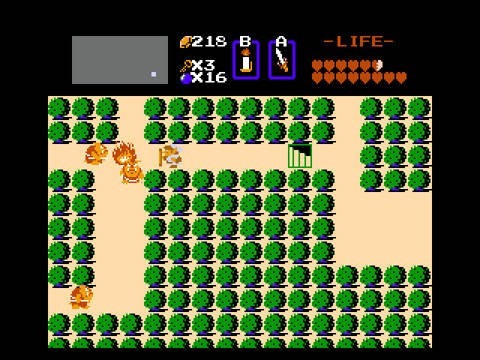 Players assume the role of the heroic green-clad Link, who must venture into eight dangerous dungeons in order to collect the shattered remnants of the Triforce of Wisdom. It is only then that he will be allowed passage into Ganon's lair, where hopefully he will save the Princess and Hyrule all in one fell swoop. Obviously such a tale is a touch simplistic for today's standards, but the premise was strong back then. Heck, it's still strong for many such as myself today. The Legend of Zelda totally thrusts the player into an open world made up of individual screens. No direction is given to the player; no tutorials are to be found. There is but a cave on the screen where the player starts that practically just begs the player to enter it by just being there. Inside is a sword, and an old man stating one of the most referenced game quotes of all time, "It's dangerous to go alone. Take this." Even before entering the cave, the world of Hyrule has no gates or fences that block the player into freely exploring. Of course one probably wouldn't get very far with no sword, but it is possible to journey through Hyrule with nothing in Link's sheath. given to the player as the original. This unprecedented amount of freedom has its good and bad qualities to it. For someone who loves to explore every crevice and cavern they come across, getting lost in a new world, and uncovering secrets on their own, The Legend of Zelda's classic Hyrule is a dream come true. However, nowadays its the type of world that will most likely frustrate players, especially those who didn't grow up on "Nintendo hard" games. Instead, they are more familiar with tutorial-filled, hand-holding, hit-one-button-to-win-games that are popular now with consumers. A lot of The Legend of Zelda's secrets are rather hard to find, and it doesn't help that clues given by the rare denizen of Hyrule (why they all live in caves is anyone's guess) are obtuse at best and mistranslated at worst. Seriously, how would one know to burn a specific bush to find a secret grotto, much more a dungeon that is required to make progress? Things like bombing a specific rock face on the world map, or burning a seemingly random bush for something now seems amazingly counter-intuitive. Regardless, if one has a serious sense of adventure, they will find it tough to come across many better games that puts that sense to good use than The Legend of Zelda. 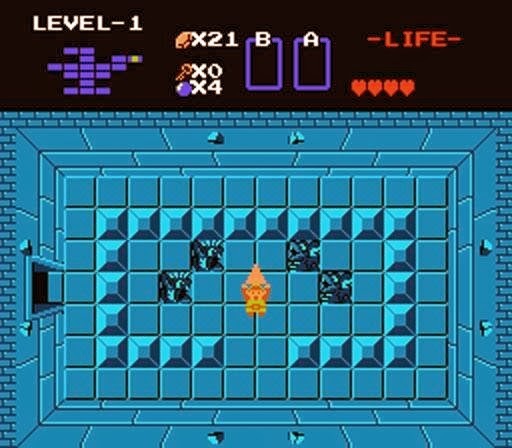 As stated, Link's goal is to acquire the eight shattered pieces of the Triforce of Wisdom, and all of these can be found in the game's eight dungeons. 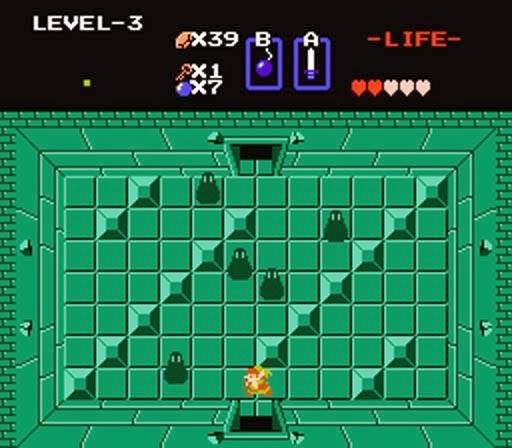 Most of The Legend of Zelda's dungeons can be come across right from the game's get-go. In fact, some of the best equipment in the game can be found before even stepping foot in a dungeon. That's great, too, as The Legend of Zelda is an incredibly unforgiving game. Not as bad as its side-scrolling sequel, but prepare to see the Game Over screen a lot. Even with the best armor and the maximum amount of health you can acquire (all done through coming across heart containers), the average player will still discover that the land of Hyrule and its depths are far from a breeze to survive. Monsters can take off three hearts in one shot, and since Link doesn't have too long of an invincibility period after taking damage, the hurt can add up quickly. 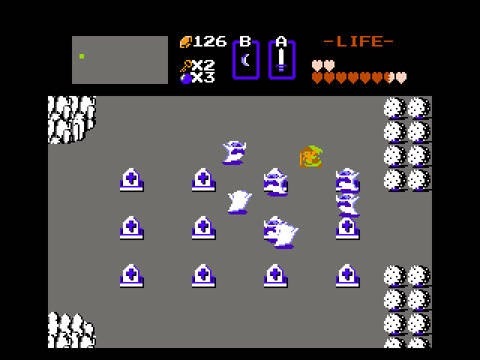 What further makes the game difficult is how often it throws rooms full of enemies at the player, many of which have foes that can withstand multiple hits of Link's most powerful sword. Then there's how some enemies are able to move diagonally while Link can only swing his sword left, right, up, or down. All of this added to the incredibly finite amount of direction given to the player can make for an exhausting game to play through. Thankfully, the NES original was the first game to incorporate a save battery, allowing players to save their progress, quit the game, and return to it later. This is in contrast to leaving the NES on all night, hoping one of your family members doesn't turn it off, erasing all of your progress. The Virtual Console versions come with restore point functionality (save states), so that is an option for less skillful players (see: me). who never beat The Legend of Zelda. 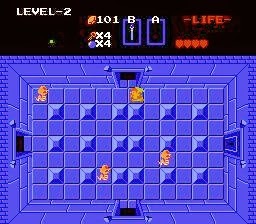 As for the dungeons, the order of which they can be completed is almost totally up to the player. I say almost because some dungeons can only be accessed with the use of a specific item. These items are generally in other dungeons, and even then, the higher dungeon number Link enters, the more difficult it is. Dungeons are the most dangerous locations in the game, each made up a labyrinth of rooms that are full of enemies. While foes like Ropes (snakes) and Keese (bats) aren't too problematic, things gets challenging when one has to take on a room packed with Darknuts, knights who can only be damaged from behind, and walk around totally at random. Each dungeon has locked doors that need keys to open them; hidden staircases uncovered by pushing a certain block in the room; special items like the Boomerang, the Raft, the Ladder, the Bow, etc. that assist Link on his journey; and a boss guarding a piece of the Triforce of Wisdom for Link to overcome. can still be a bit of a nuisance! 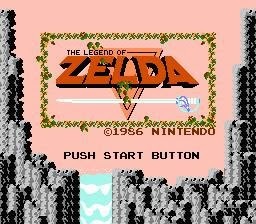 The Legend of Zelda was a technical marvel when it debuted way back in 1987. It featured varied environments, lively character and monster animations, and had over 100 different screens for Hyrule alone. The ability to save one's progress made this lengthy adventure manageable. Top all of that with an iconic soundtrack, and you have the pieces to a great game. While all of this is still true, for a more discerning eye, there is noticeable slowdown as well as a lot of sprite flickering going on. A game terrific for those who want some difficulty in their action-adventure games, The Legend of Zelda still rises to the task to this day. However, many players today will find the original NES classic The Legend of Zelda too unrelenting in its challenge, not just against enemies but in order to make any kind of significant progress because of its lack of direction and sometimes obtuse design. This lack of any hand-holding certainly is a different feeling than present Zelda games and most other titles released in this day and age. Still, one cannot argue how influential the debut of Link really is to the industry, and how despite all of the issues with the game looking at it with a present-day lens, The Legend of Zelda still presents itself as a truly compelling and enjoyable game. The Wii U's sales are an abomination and quite disastrous for the big N. The Nintendo 3DS is seeing an overall decline in sales as well. Nintendo has always been known for relying on established franchises to build its library of games for each system it manufacturers. Most sell well, but with the Wii U there seems to be the feeling that Mario, Donkey Kong, and Zelda are not enough to sell hardware for Nintendo anymore, or that these series are no longer relevant. I wouldn't go that far, as I think the lack of Wii U sales and declining Nintendo 3DS sales has less to do with the franchises no longer noticeably impacting sales, and more to do with Nintendo's most recent releases treading too much familiar ground. Thus, the excitement for these games isn't as large as it could be. Compare a game like Super Mario Bros. to Super Mario World. The original SMB was a simple side-scroller with little in the way of flourish. Meanwhile, Super Mario World introduced multiple paths, secret exits, new power-ups, Yoshi, and other big changes. 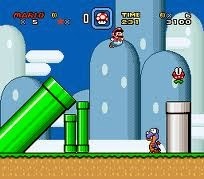 Super Mario World was not completely like Super Mario Bros.. It was also nowhere near alike to Super Mario 64, which was not similar to the gravity-based levels of Super Mario Galaxy, which was not like Super Mario 3D Land's structure, etc. The point is that each release felt fresh and innovative by introducing new gameplay elements or being a total departure from the previous game. However, recent releases for both the Wii U and the Nintendo 3DS have not really pushed the envelope for sequels to Nintendo's storied and popular franchises in the same way as we saw on the original Wii and the Nintendo DS. To elaborate on what I mean, let's look at some of the software Nintendo has released lately. Super Mario 3D World is a masterful entry in the 3D Mario series, but it's pretty much building on the foundation of Super Mario 3D Land. 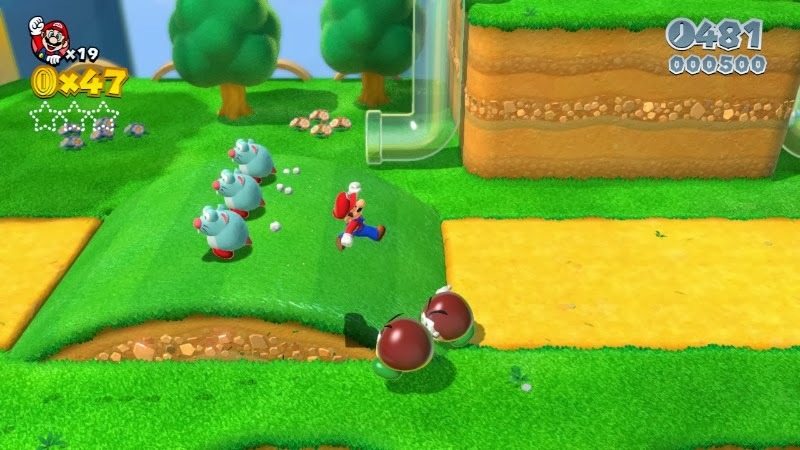 Then there's games like New Super Mario Bros. U, which relies on the formula established by the original Super Mario Bros. The upcoming Yoshi's New Island for the 3DS is basically the same gameplay of the SNES classic Super Mario World 2, just with its own unique levels and a new graphical style. Even our game of the year for 2013, The Legend of Zelda: A Link Between Worlds, is a clear reference and plays similarly to A Link to the Past. Nintendo is too focused on being self-referential-- building games closely following the foundation set by its past titles. It is trying to recapture its old glory. In this process, the games simply do not have the same "wow" factor or "I gotta buy a system for this" that past titles the company has released have done. There's too much of a reliance on older ideas and not the groundbreaking ones, such as Super Mario Galaxy's gravity mechanic, to pick a quick example randomly out of a hat. It's a "been there, done that" feeling in a lot of its games lately. Nintendo gets a lot of flak for continuing to create sequels to its 20+ year-old franchises. However, most of the time each main entry in the series offers a unique gameplay hook that makes the series seem fresh again. Basically, if, let's say, Mario was not in a game called Super Mario 3D World and a new character was, it would be a totally different and new IP. Instead, Nintendo likes to put its well-known stable of recognizable characters into its games, even when they are quite different from each other, offering a type of gameplay mechanic not seen before. For instance, back on the Super Nintendo you had Kirby Super Star. On the Nintendo DS, you had an early title called Kirby Canvas Curse, which played much differently than Super Star or any other Kirby game before it. 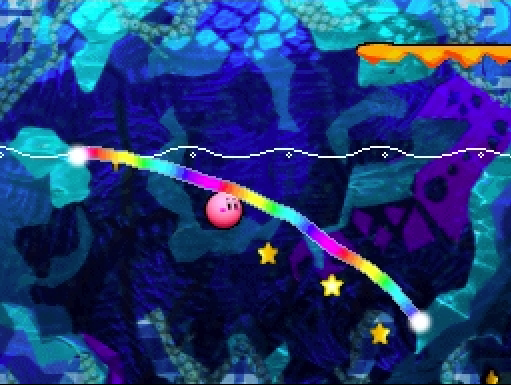 You used the stylus to draw lines to move Kirby through the variety of levels. Had a new character been used, the game could have started an all-new franchise for Nintendo. Unfortunately, that's not how the company does things. It uses already established characters to experiment with new gameplay styles. Now, there are new IPs that Nintendo puts out. Taking a look on its digital marketplaces will have one coming across a plethora of new IPs with new ideas. There's Pushmo, Sakura Samurai: Art of the Sword, Steel Diver, Ketzal's Corridors, Dillon's Rolling Western, among others. The Wii U even has the excellence of The Wonderful 101, developed by Platinum Games. However, even with these titles, Nintendo hardly allocates much effort in spreading the word of them. Instead, it pushes its main bread and butter franchises rather than successfully cultivating new fans with games that have new concepts to them. Thus, the risk isn't anywhere worth noting. There's also the issue with the Wii U lineup. It's over a year since the system launched, and the Wii U is in no short supply of platformers, whether 2D or 3D. We have New Super Mario Bros. U, New Super Luigi U, Super Mario 3D World, Donkey Kong Country: Tropical Freeze, and from Ubisoft, Rayman Legends. The genre is so overly represented that other types of games don't have much of a presence. Nintendo has tailored its user base on platformers, making genres like first-person shooters and sports titles not prevalent on the Wii U at all. This has made it impossible for third-parties to get some footing on the system-- and it was already going to be a difficult task. Consider the original Xbox, which launched with Halo: Combat Evolved. Microsoft published the title, and it gave the Xbox brand some ground to work with. The user base was thus made up of those who enjoyed FPS games, which just so happened to be becoming popular among console gamers. This resulted in third-parties finding success on the Xbox brand. This is not what Nintendo has done. It has not created the types of titles that built a user base that third-parties could sell games to. It's heartbreaking to see that even with Nintendo putting out software of excellent quality, sales of the Wii U are pitiful. The quality of games doesn't seem to matter when it concerns whether the Wii U succeeds or fails. I would personally love to see new franchises that can rival the scope of the next Mario or Zelda in budget and marketing. Even the return of series that have been on hiatus for years or decades would be something exciting instead of the games that step on all too familiar ground. It's clear that the Wii U will be known as a sales failure and a distant third place in this generation. I can only hope that Nintendo and its management learn the right lessons from this failure and works hard to ensure that its next console attempt is a success. Announced just yesterday, Sony confirmed that as of March 2 the PlayStation 4 sold over 6 million units worldwide. That's no number to scoff at, and it's extremely astounding considering there really isn't a killer app for the system yet. Just imagine the sales when something truly worthy of purchasing a PlayStation 4 comes out. 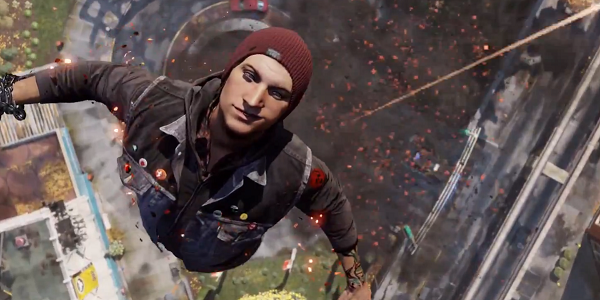 We're looking at you, InFamous: Second Son and Destiny. However, how is the PlayStation 4 selling so remarkably well when there's so little amazing content to currently purchase? That's what I try to make myself understand with this piece. 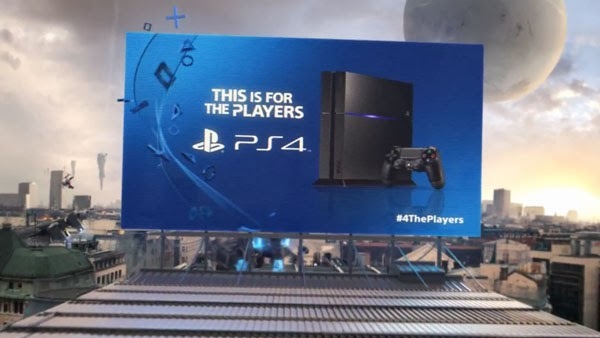 A reason I see the PlayStation 4 doing so well has more to do with its marketing presence than anything else. For months now, I've seen a deluge of Greatness Awaits commercials, all touting the PlayStation 4 in them. Sony has pummeled the airwaves, at least in the U.S., with ads, something that would be impossible for a smaller console manufacturer to do. But is the PlayStation 4 selling well because gamers just wanted something shiny and new to put in their gaming rooms? The seventh generation of consoles went on for a much longer duration than ordinary generations. There's no doubt that for many gamers the seventh generation (PS3, Xbox 360, and Wii) outwore its welcome. Perhaps that's another reason for why many immediately purchased the PlayStation 4, despite the dearth of software. I understand the temptation of getting new, more powerful technology, especially for gadget lovers, but what is the point of purchasing a $400 piece of tech that has a couple of worthwhile games, many of which are simply up-ports? There's also the idea that when one invests in any type of game hardware at launch or early, they are investing their money in the promise of future support. Now, there's no doubt that Sony will release sensational strong support for the system. There's franchises like God of War, Uncharted, Ratchet & Clank, LittleBigPlanet, Sly Cooper and more that are already established as power players in the PlayStation family. That's not even counting Sony's desire to push more new franchises such as the upcoming The Order 1886. However, looking at the current lineup now, there's only really Killzone: Shadow Fall that stands out release-wise, and even then, it wasn't an amazing darling for critics. My question is why purchase any system for the promise of support when all the major titles on the system are ports from last generation games or cross gen games readily available on the seventh generation of game consoles? Why not just wait until more interesting games are available? There's no real system seller released right now for the PS4, sort of defeating the long-standing idea that software sells hardware. No, I surmise that a big marketing presence creating a large hype machine sells hardware. Compared to the launch of the PlayStation 3, Sony has been making all of the right moves with the PlayStation 4. While many members of the gaming media coddled Microsoft despite its proposed DRM policy for the Xbox One, many gamers saw through Microsoft and changed over to the PlayStation brand. A cheaper price tag-- a $100 difference-- no shoehorned in peripheral like the Kinect, the promise of Sony's first-party studios delivering killer content, and powerful hardware that oftentimes outperforms what can be found on the Xbox One. Sony has been touting the PlayStation 4 as the system for gamers, directly interacting with them, listening to their opinions and taking them heart, and not going the route that Microsoft wanted to take gaming. Now, please don't get me wrong. I'm absolutely in love with the PlayStation 4, and I love how its selling well, despite many analysts in the industry that have been calling for the death of the dedicated home console. It's just bewildering to me how a system with little in the way of exciting games on the market right now can sell on simply brand power and massive marketing alone. I mean, this is an interactive industry, so shouldn't it be all about the games and not hype? The following is a sponsored post, but it was written by SuperPhillip Central staff. Slot machines have been around for over a century, with the first prototype and precursor being developed in 1891. Who knew that such a simple machine would go on to be one of the most entertaining attractions to most casino-goers? Now you need not even leave the comfort of your home-- you can bring the casino to you and play online casino games at Paddy Power, for instance. That is, if you're old enough to do so! This late night article brings up nine examples of slot machines in video games. Here, you can gamble in order to acquire rare items, equipment, and even animal buddies without fear of losing real world money. It's not just games with slot machines in them, either. No, we have games that bring the concept of slots and manipulate them to fit a section of gameplay. From Mario to Pokemon, Final Fantasy to Grand Theft Auto, this list of nine slots-inspired mini-games will see your head spinning at all of the applications of slot machines used in video games both new and old. We start our list of slots with three entries from the Mario franchise. Our first look is from the latest in Super Mario series, Super Mario 3D World. Lucky Houses are in each of the game's worlds, and even after they go away after entering and playing them, they reappear after finishing a few levels. Lucky Houses consist of four revolving blocks that Mario or any other character can run under and hit just like an item block. How many matches of the four blocks the player gets determines how many coins come raining down to collect. The prizes can be 100 coins, 200 coins, 300 coins, or an impressive 777 coins. These coins grant extra lives, incredibly important for Super Mario 3D World's post-game levels. 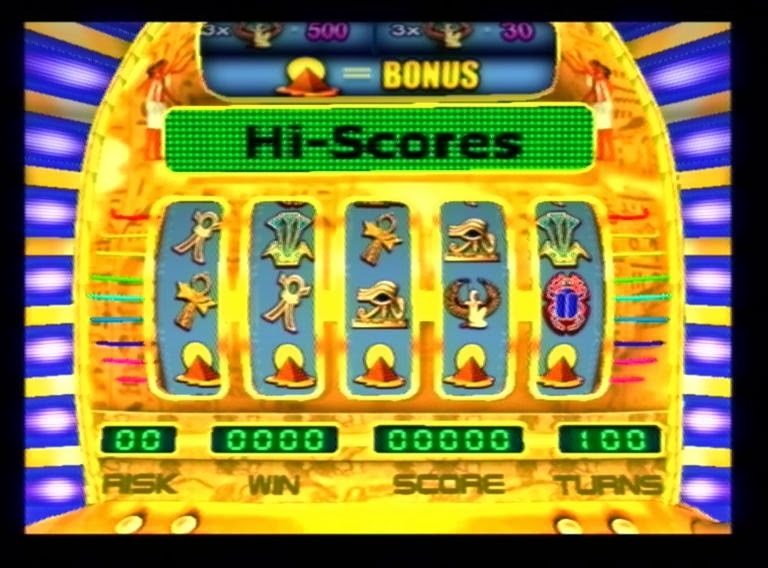 After each level has been successfully completed and pending the player came across any coins either in the dream world or subspace, they can partake in a simple slot machine mini-game. 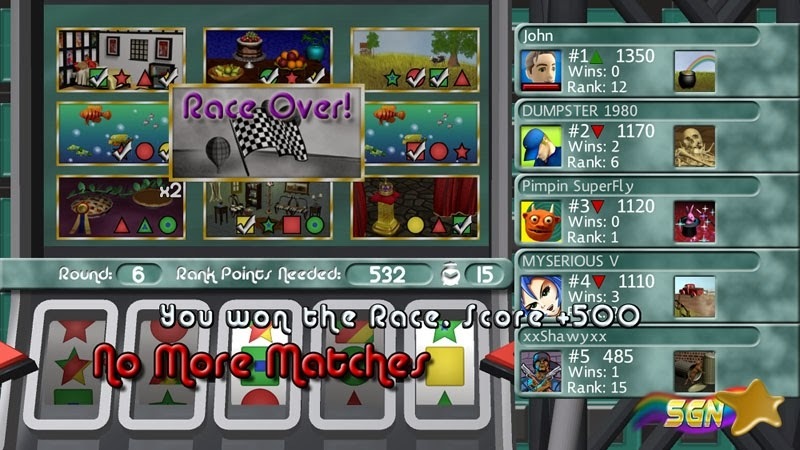 Depending on the order of icons and what three icons are matched up, the player can receive anywhere between 0-5 1-ups per turn of the slots. Having more coins gathered in a given level allows more attempts. Sure, there's not much skill involved in such a game, but that's where the old sage advice of "just mash the A button" comes in. Through collecting all five of a given level's flowers, the player has a chance to participate in a mini-game for extra lives. Slot Machine is the simplest of these mini-games, and bestows up to five extra lives for a lucky player. Having three Shy Guys, stars, or watermelons in a row gives the player a single 1-Up, while a trio of cherries rewards two extra lives. Matching three Yoshi eggs in a row gives a prize of three 1-Ups. 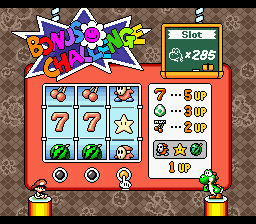 Finally, having the best amount of fortune will have the player matching three Lucky 7 icons, adding five lives to Yoshi's total tally. Many of the slot machines on this list are essentially traditional versions of what one would expect when they hear the words "slot machine." 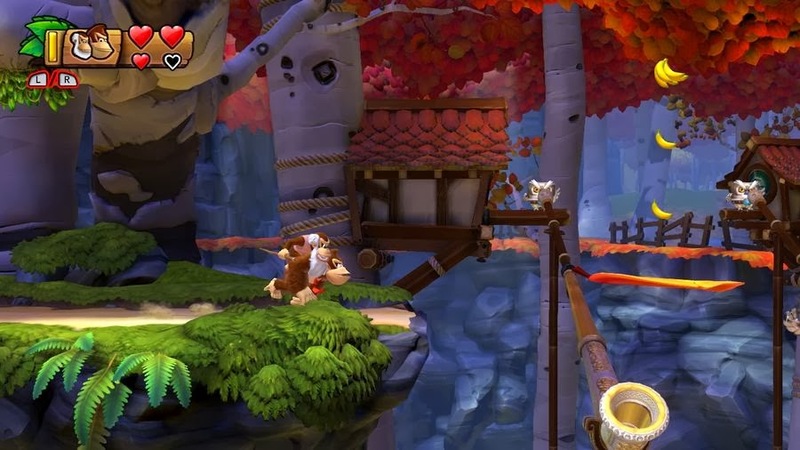 Retro Studios, developer of Donkey Kong Country Returns and its Wii U sequel Donkey Kong Country: Tropical Freeze, creatively put a twist on both slot machines and finishing a level with the addition of slot machine goal barrels. These particular barrels would start spinning, cycling between four different symbols. With proper timing, Donkey Kong could hit one of the following icons: a bunch of bananas, a banana coin, a red balloon bestowing an extra life, or the most interesting icon, the DK icon. If the barrel was hit while this symbol was shown, the player would rapidly shake the Wii Remote and/or Nunchuk with all of their might. How many times they shook their controller(s) meant that's how many of either a banana bunch, banana coin, or extra lives they would receive. 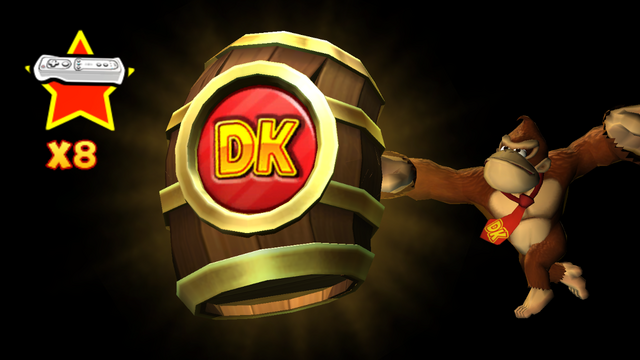 The payout when it involved the DK symbol was entirely random. Still, it's always satisfying to beat the goal barrel to smithereens and coming out of it with 20+ extra lives. We'll focus on the very first generation of Pokemon titles as well as their remade versions. Nestled in the center of Celadon City is the Rocket Game Corner. It is here where there a plethora of slot machines available. The trick here is to find a machine that is "hot." That is, one that has the best odds of letting the gambler walk away with a lot of coins. Said coins are used in the Game Corner's gift shop to purchase rare items like TMs as well as Pokemon that are hard to get normally-- one of which is only available in-game through earning enough coins, Porygon. The slot machine itself gives the player more chances to get three in a row if the player wagers more coins. This opens up opportunities to get matches on either of the three rows as opposed to just the center one, as well as diagonally. Along with exploring towns, catching Pokemon, facing eight gym leaders, earning TMs and HMs, exploring caves where there's always that one annoying Pokemon breed to battle that continues to show its unwanted face, among other things, the slot machine mini-game is a common sight in the Pokemon series. Who knew Game Freak could be conditioning a whole new generation of gamblers? What do you think of when you hear the phrase "Palace of Pleasure"? If you're thinking what we're thinking you're thinking, then you best get your mind out of the gutter. The Palace of Pleasure refers to Serendipity, a colossal casino city in the sky packed to the brim with various mini-games. Obviously we'll be focusing on the slot machines. Apparently everything in Final Fantasy XIII-2's world is temperamental. It's not just the characters. You see, even the slot machines have different moods, affecting how often they pay out to the player. Each time the player visits Serendipity, the slot machines alter their moods in a random fashion. The best type of mood is when the casino attendant says "That machine's on fire" or "It's hot like a summer's day." Any other mood types will make it all the more difficult to amass a respectable amount of casino coins. This will take multiple trips most likely, as these two moods are rather rare, just like getting a jackpot. Doing well on the casino slots is the only way of acquiring the rare Lucky Icon item. Seeing as one needs the fitting amount of 7,777 casino coins to purchase it as well as 10,000 casino coins for the Serendipitous achievement/trophy, the player better have some serious luck on their side. Even a fairy tale-esque world has its fair share of chance. 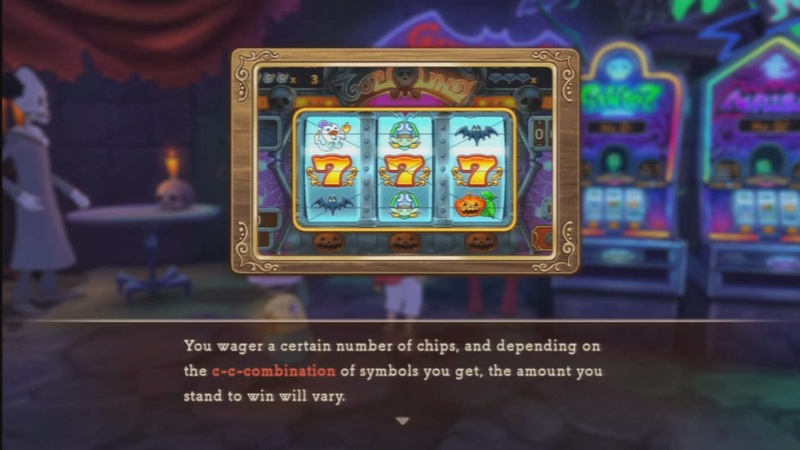 The slot machine mini-game in last year's excellent RPG Ni no Kuni: Wrath of the White Witch can be found in the Tombstone Trail Casino. Perhaps it's called that as that's where many players' money have gone to die. This particular slot machine works by inserting an amount of money into the device. The more the player bets, the greater the rewards (as well as the greater the losses). As each pull of the lever is initiated, a special gauge slowly fills up. When it reaches maximum capacity, Mega Mode happens. It is here where all winnings pile up more considerably for a limited amount of time. The player can even use items from their collection to sway the odds in their favor. Of course a poor item choice can make the odds go the wrong way, too. 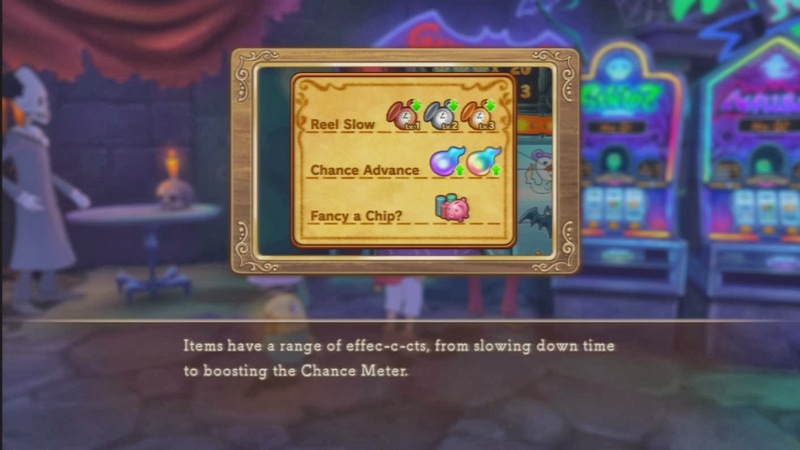 A terrific way of making bank without doing something productive with one's time-- like getting a job-- Ni no Kuni's slot machine mini-game is another example of the chance game's appearance in the video game medium. Carl Johnson, or C.J., could enter various casinos around the expansive reaches of the state of San Andreas. It's at these locations where he can wager money to win or lose cash. Regardless of victory or defeat, C.J. 's gambling level would increase, making his chances of making big bank at the various chance-based games grow. While not an attraction of the casinos that nets C.J. 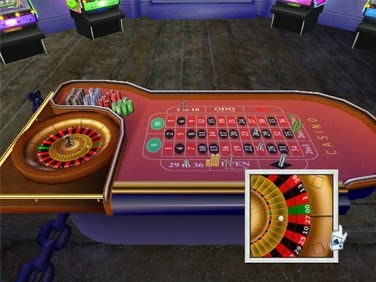 an increase to his gambling skills, the slot machine is prevalent in Grand Theft Auto: San Andreas as a means to win big. Although the slots play themselves with no input from the player, they are a great way of racking up some serious cash when the alternatives of robbing burger joints and stealing cars don't excite the player at the time. So far we've seen various slot machines as side excursions in games, but what about a mode in a golf game that uses the concept of a slot machine to mix up a round on the links? That is exactly what Hot Shots Golf: World Invitational's recently available Slot Mode does. At the start of each hole, each player gets a slot machine-like graphic that quickly cycles through a list of perks and punishments that that player will have active for the duration of the hole. This can be such helpful things as perfect weather, an increase in drive power, or even a larger hole to make putting a breeze. However, there can also be less than helpful bonuses such as gale force winds, landing in the fairway, rough, or bunker being a two stroke penalty, or being stuck relying on standard gear instead of more powerful clubs and balls already in your golf bag. Slot Mode really delivers an entertaining take on the classic rules of golf, offering a party-like experience with each spin of the slots. This makes for a nice playing ground for expert, intermediate, and beginning players alike.